Besides carrying the most well-known and quality national brands, Allied carries a full line of quality private label Lubricants. All Allied lubricants are API and ILSAC approved. We follow ISO 2241 standards guaranteeing the quality of these products. If you see an Allied logo on the package, you can trust the contents meet all required industry specifications. And in most cases, our private label products exceed them. Better yet, our private label lubrication products deliver superior performance with unbeatable value. Allied private label products are products you can trust, at a price you will like! Caterpillar is the world’s leading manufacturer of construction and mining equipment, diesel and natural gas engines, industrial gas turbines and diesel-electric locomotives. We are a leader and proudly have the largest global presence in the industries we serve. Learn more about our Strategy, Governance, History and Brands, as well as the values that guide our conduct. Our customers rely on Caterpillar products to advance sustainable progress and improve living standards. This commitment to better extends to our own organization where we strive to be a model for environmental stewardship and social responsibility. Chevron's company's foundation is built on our values, which distinguish us and guide our actions to deliver results. We conduct our business in a socially and environmentally responsible manner, respecting the law and universal human rights to benefit the communities where we work. The current Texaco star and modern station design launched in 1981. 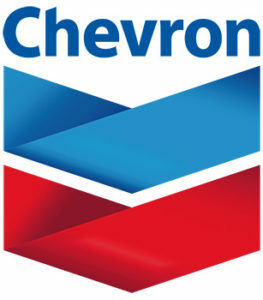 In 2001, Texaco and Chevron merged to become ChevronTexaco. Not long after, we added the cleaning power of Techron to every grade of our gasoline. Today the Texaco star shines in 16 states and in countries around the globe. Wherever you see it, we're ready to help you get where you're going – and get the best performance from your car. 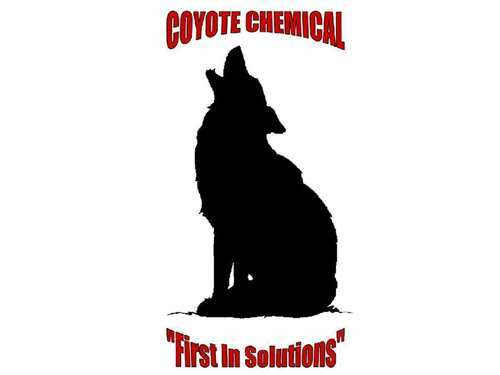 Coyote Chemical Company manufactures over 50 products for all your cleaning applications. We offer our products in 5, 15, 30, 55, and 275 Gallon quantities. At EP Minerals, we want to do our best to communicate information and news to you that could affect our business and yours. We'll regularly post content in this section that we hope you'll find helpful. As always, if you have any questions, please feel free to reach out to your sales representative. Houghton is committed to continuous improvement initiatives related to product stewardship and to increasing public awareness and confidence that our chemicals are safely managed throughout their life cycle. Houghton’s Product Stewardship Program includes completing appropriate risk reviews for the chemicals we manufacture, prioritizing chemical risks, recommending risk management actions where needed, and making chemical health and safety information available to the public. Penray manufactures quality chemical products for automotive, heavy duty and marine industries that are specifically engineered to help keep your vehicle performing at it's very best. Our superior technology, customer support and product training help you go the extra distance. For over 30 years, Petro-Canada lubricants has researched, developed and produced more than 350 world-class advanced lubricants, specialty fluids and greases. Our products continue to perform beyond expectations in virtually every industry around the globe. World Leading Developer and Manufacturer of High Performance Bio-based Lubricant Technology. Since 1991, RLI™ has been the bio-based technology leader with R&D Heavily Supported by Commodity Organizations, Government Grants, and Strategic Partners. A hard working engine deserves the protection of a steadfast motor oil. Quaker State is engineered to give your car lasting power. 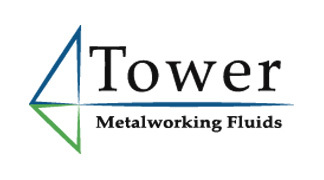 Since 1933, Tower Metalworking Fluids has serviced companies from all over the world. From small family-owned businesses to fortune 500 companies, Tower's products and services have exceeded our customers expectations by providing the greatest total value in metalworking fluids and metal removal coolants. Our cutting-edge approach to the research and development of new chemistry and technology ensures our customers are kept at the forefront of metalworking fluids advancements. Transformer oil or insulating oil is an oil that is stable at high temperatures and has excellent electrical insulating properties. It is used in oil-filled transformers, some types of high-voltage capacitors, fluorescent lamp ballasts, and some types of high-voltage switches and circuit breakers. Its functions are to insulate, suppress corona discharge and arcing, and to serve as a coolant. Transformer oil is most often based on mineral oil, but alternative formulations with better engineering or environmental properties are growing in popularity. Valvoline Inc. is a leading worldwide marketer and supplier of premium branded lubricants and automotive services, with sales in more than 140 countries. Established in 1866, the company’s heritage spans more than 150 years, during which it has developed powerful brand recognition across multiple product and service channels. Valvoline ranks as the No. 3 passenger car motor oil brand in the DIY market by volume. It also operates and franchises the No. 2 quick-lube chain by number of stores in the United States with more than 1,170 Valvoline Instant Oil Change SM centers and the No. 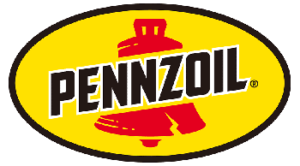 3 quick-lube chain by number of stores in Canada with more than 100 Great Canadian Oil Change locations. It also markets Valvoline lubricants and automotive chemicals, including the new Valvoline™ Modern Engine Full Synthetic Motor Oil, which is specifically engineered to protect against carbon build-up in Gasoline Direct Injection (GDI), turbo and other engines manufactured since 2012; Valvoline High Mileage with MaxLife technology motor oil for engines over 75,000 miles; Valvoline Synthetic motor oil; and Zerex™ antifreeze.